The American Humane Association has opened voting for the 2012 finalists for the Hero Dog Award. With eight great dogs to choose from, it's difficult to decide which one should win! Earlier this year the American Humane Association set out once again to find America’s top hero dogs. Over two million votes were cast online, narrowing the field down from hundreds of nominees to just eight, each a separate category. In the coming weeks, I’ll highlight these eight terrific canines. And you will have the opportunity to join others in voting online for your favorite. 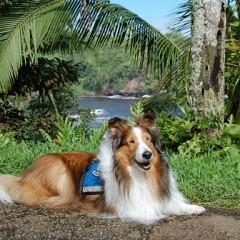 Let’s begin with Holly, a beautiful 11-year-old Collie, nominated in the Service Dog category. Holly is trained as a seizure alert and response service dog for her human, Shanna, who suffers from epileptic seizures. Together they work to raise funds for charity and also do education programs about service dogs. Holly’s charity partner is the International Association of Assistance Dog Partners. Daniel the Beagle represents the Emerging Hero category. You may remember his amazing story when he did an almost unimaginable thing; he survived attempted euthanasia in a gas chamber at an animal shelter in Alabama. After that, the animal control officer decided this miracle dog deserved another chance. His story spread like wildfire across the country, and he found his new forever home with the Dwyer family in New Jersey. Daniel has used his celebrity in a campaign to ban the use of gas chambers in animal shelters. His charity partner in the Hero Dog Awards is Pine Street Foundation’s Canine Cancer Detection. 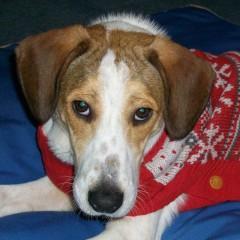 You can find more information by visiting Daniel’s website at www.danielthebeagle.com. Or look him up on Facebook as “Daniel the Beagle Dwyer” where he says "the Hero Dog Award is probably as good as Olympic Gold." To learn more about the Hero Dog Awards, and the eight finalists competing for the top spot, visit the website at www.herodogawards.org. While you’re there, cast your vote for the one you think should be America’s next Hero Dog. It’s a great way to celebrate these special animals who make our lives better in so many ways, when you’re speaking of pets.